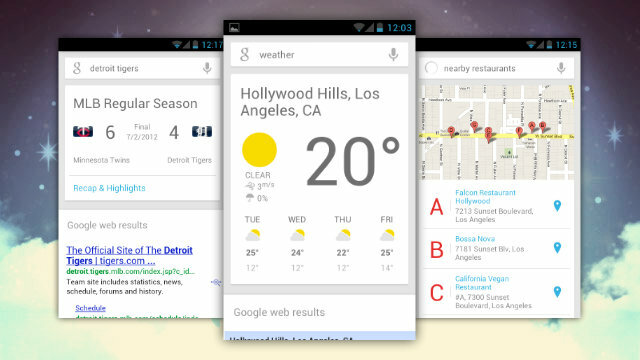 Google has finally expanded Google Now to its Chrome browser on Mac and PC. The notifications present on Now will be available to people as long as the browser is open and they will be received in a similar way to mobile phones and tablets. Non-notification features in the form of Now cards for weather, sports, traffic, etc, will also be available in Chrome. Location data will be collected via a person’s mobile phone and then used to add information to the PC or Mac. So, as long as someone else is not trying to access your computer, the information displayed on the cards should be accurate. The rollout of Now for Chrome is just beginning and it will take a few weeks for everyone to automatically have the feature. Since Google is expanding the service to numerous devices and is integrating it even further than before, it is no surprise that Now has ended up on desktops. Chrome’s notification center (which includes Now) will be included at the bottom of the screen if you are on Windows and at the top of the screen if you are using a Mac. If you would rather have access to Now immediately, you can type “chrome://flags” into the browser and then toggle Google Now notifications to “enabled.” After doing this and restarting the browser, you should have access to the notifications area. Google has reportedly been working on Now integration for months and it finally appeared for the first time in a beta version of Chrome last month. Following the beta test, Google presumably fixed up the software before today’s rollout. Unless you are already using Now on your phone, the ability to access it in Chrome may not be very useful. However, as long as you have an iOS or Android device, you can take advantage of the feature. Question – Do you like Google Now and will having access to it on desktops be useful? Summary: Google has updated Chrome for Mac and PC to include Google Now. The rollout will take a few weeks but users can manually enable it right now.